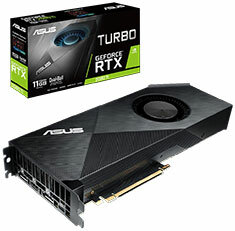 The ASUS GeForce RTX 2080 Ti Turbo graphics card features a 1350MHz base clock with a 1560MHz boost clock in OC mode, 11GB 352-bit GDDR6 memory, PCI-E 3.0, 4352 CUDA cores, OpenGL 4.5 support, DirectX 12 support, HDMI 2.0b, 2x DisplayPort 1.4 and USB Type-C Support. 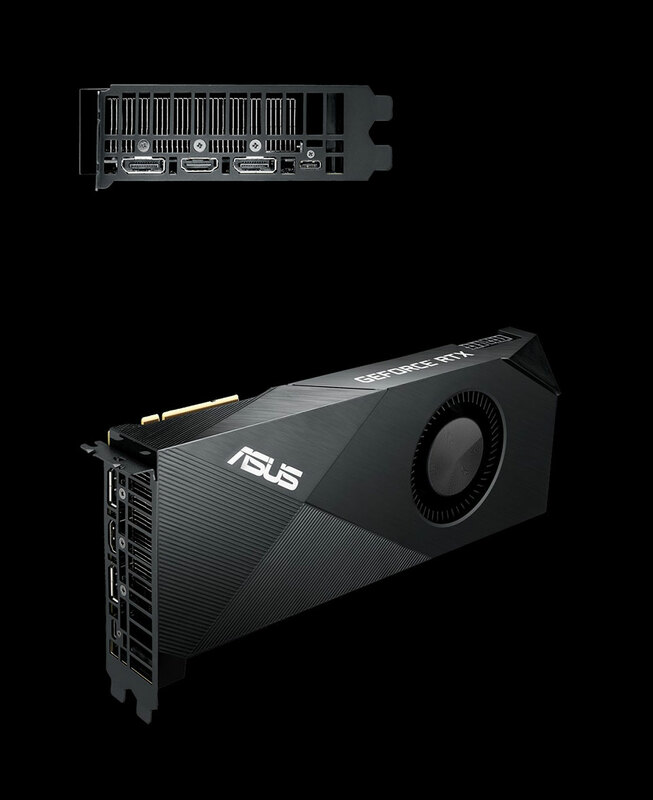 The ASUS Turbo GeForce RTX 2080 Ti is designed from the ground up for systems with multiple GPUs or other airflow restricting scenarios by incorporating a host of subtle design optimizations that improve airflow through the shroud and increase reliability. Grasp the reins of the most powerful graphics platform ever. Backed by a 3 year ASUS warranty.